The governing body of IAAO is the Board of Directors. IAAO Board members are elected by IAAO members. There are four officer positions at IAAO: President, President-Elect, Vice President, and the Immediate Past President. Each position is elected for a one-year term. The President-Elect automatically succeeds to the office of President when his or her President-Elect term ends. The Executive Director serves as Secretary/Treasurer for the association. The Board of Directors is completed by nine regular members and one associate member, each of whom is elected for a three-year term. Donna VanderVries, CAE, AAS, PPS, Esq. Appraisal Project Supervisor, Tyler Technologies, Inc.
Tim Boncoskey is the President of IAAO for 2019. Outside of IAAO he serves as Chief Deputy Assessor for Maricopa County in Phoenix, Arizona. He joined Maricopa County as Chief Deputy in July 2006 after 17 years with the State of Arizona. He also worked as a senior budget analyst for the Fairfax County Office of Management and Budget in Virginia before beginning his Arizona State government career. He previously served as IAAO President-Elect and Vice President, and also as a member of the IAAO Board from 2013-2015. In 2018, he was appointed to the National Association of Counties (NACo) Board of Directors, representing IAAO and serving on the NACo's programs and services committee and large urban county caucus. He has twice received the IAAO Stacy Ford Award winner for being the association's most outstanding Representative and three times received the IAAO Kenneth J. McCarren Award for recruiting the most new IAAO members. He was selected IAAO Member of the Year in 2012 and was enshrined in Maricopa County's Pillars of Honor in 2013 for that achievement. In 2014, Tim, along with four other IAAO Board members, wrote the 2020 Vision and Strategic Plan for IAAO (2015 - 2020). In 2011, he served as Chairman of the Major Jurisdictions Council, Chairman of the Local Host Committee for the 2011 International Conference on Assessment Administration in Phoenix and Chairman of the Councils and Sections Committee of IAAO for 2012. Tim has also served as the elected President of Arizona Chapter of IAAO (AzIAAO) for 2007-2008 and 2011 and the chapter's national representative for nine years beginning in 2009. In 2018, he received the AzIAAO Bud Scribner Award for his outstanding contributions to the Arizona assessment community. Mr. Boncoskey began his state service working for the Governor's Office of Strategic Planning and Budgeting where he analyzed various agency budgets including the Department of Revenue for fiscal year 1991 and 1992. He served as an initial management staff member in the Governor's Office for Excellence in Government from 1993 to 1995, becoming Executive Director in 1994. Governor Symington appointed Tim an Assistant Director of the Department of Administration (ADOA) in 1995 and he went on to hold various executive management positions in ADOA until he joined Maricopa County. Tim served Governors Symington, Hull and Napolitano in his seven years as the Chairman on the Governor's Regulatory Review Council from 1996 to 2003. 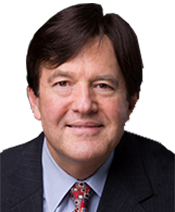 He received his Bachelor's Degree in Public Administration in 1983 from the University of Arizona and his Master's Degree in Public Affairs in 1985 from the LBJ School at the University of Texas and attended the Governor's Center at Duke University Strategic Leadership Program for State Executives in 1999. Amy Rasmussen, RES, AAS is President-Elect of IAAO for 2019. Outside of IAAO Ms. Rasmussen is Director of Litigation for the Polk County, Iowa, Assessor's Office. She has previously served as IAAO Vice-President in 2018 and was on the IAAO Board from 2014-2016. In addition, her IAAO service includes serving as Chair of the Professional Development Committee; as a Subject Matter Expert for the USPAP Committee; a member of the Budget Committee, Technology Special Committee; Vision 2020 Committee, and Planning and Rules Committee; and as a Senior Specialty Instructor, Professional Advisor, and an IAAO Representative. She has also served as a board member of the Iowa Real Estate Appraiser Examining Board and as vice chair from 2008-10; and was on the Board of Directors of the Institute of Iowa Certified Assessors. She has achieved the IAAO Assessment Administration Specialist and Residential Evaluation Specialist designations; and the Certified Public Manager; Iowa Certified Assessor, and Certified Residential Real Property Appraiser. She received a Master of Public Administration in Public Policy from Drake University and a Bachelor of Science, Psychology from Iowa State University. Greg McHenry, AAS is IAAO Vice President for 2019. Outside of IAAO he serves as Appraiser for the Riley County Appraiser's Office in Manhattan, Kansas. Previously he served as Deputy County Appraiser and Business Specialist. He has also served as County Appraiser for the Clay County (Kan.) Appraiser's Office. He previously served on the IAAO board from 2015-2017 and as member of the Governance Committee, Vision 2020 Committee, Conference Content Committee, Local Host Committee-Kansas City IAAO Conference, Volunteers Coordinator, and Hageman Trust Committee. He is also a Professional Designation Advisor and Specialty Instructor. Mr. McHenry also has served on the Executive Board of the Kansas County Appraisers Association and is a Past President of the Association. He has also served on the Association's Legislative Committee and Personal Property Committee, and is a member of the Kansas City Chapter of IAAO. He has achieved the IAAO Assessment Administration Specialist designation and the Kansas Registered Mass Appraiser designation. He received a bachelor's degree in Agricultural Economics from Kansas State University. Dorothy Jacks, AAS serves as Past President of the IAAO. Outside of IAAO she is the Palm Beach County, Florida Property Appraiser. Previously she served as IAAO President in 2018, President-Elect in 2017, Vice President in 2016, and on the Executive Board from 2010 to 2012. Ms. Jacks has been a member of IAAO since 1993. She has served as Chair of the IAAO International Committee in 2014 and 2015; Co-chair of the IAAO International Special Committee in 2013; and as a committee member of the IAAO Membership Services Committee in 2009 and the IAAO Budget Committee in 2011 and 2012. In addition, she is a Past President of the Florida Chapter of IAAO. She has been with the Palm Beach County Property Appraiser's office for approximately 30 years and was elected County Property Appraiser in 2016 after previously serving as Chief Deputy Property Appraiser. In addition, she has served as a Past President of the Friends of the West Palm Beach Public Library and the Executive Women of the Palm Beaches, and as an Executive Board Member of the Leadership PBC. She received a bachelor's degree in political science from the University of Florida. Ronald D. Worth, CAE, FSMPS, FAIC, Associate AIA is the Executive Director and Treasurer of the International Association of Assessing Officers. Prior to IAAO, Mr. Worth served as the chief executive officer of the Society for Marketing Professional Services (SMPS), a network of 6,800 marketing and business development professionals from architectural, engineering, planning, interior design, construction, and specialty construction firms located in the United States and Canada. Mr. Worth also served as the Executive Director of the Professional Services Management Association, representing CEOs and CFOs of leading architectural and engineering companies, and the Washington Building Congress. In June 2011, he was recognized by the SMPS DC Chapter with their highest honor, the Golden Tuba Award; October 2010, he was recognized by the Construction Writers Association with its highest honor: The Silver Hard Hat Award. He is a Past President of the Construction Writers Association, and a past member of the Board of Directors of the American Council for Construction Education and American Institute of Construction. He has a bachelor's degree in architecture from the University of Kansas and an MBA from Bradley University. He also has achieved the Certified Association Executive from the American Society of Association Executives, the FAIC designation, is a Fellow of the Society for Marketing Professional Services and American Institute of Constructors, and is an Associate of the American Institute of Architects. Daniel R. Cypert, RES is a member of the IAAO Board of Directors, representing Region 3. Outside of IAAO he is Chief Deputy Assessor for the Washington County Assessor's Office in Fayetteville, Arkansas. He has been an IAAO member since 2003 and has served on the Chapters and Affiliates Committee, and the GIS/CAMA Technologies Conference Content Committee; is a Professional Designation Advisor and National IAAO Instructor. In 2016 he was awarded the Verne W. Pottorff, CAE, Professional Designee of the Year award by IAAO. He achieved the IAAO Residential Evaluation Specialist designation and is an Arkansas Level 4 Senior Appraiser. He has been a member of the Arkansas Chapter of IAAO since 2000, serving as Chapter President, Vice President and on the Executive Board. He received the Charles Van Nostrand Outstanding Chapter Member Award and Marvin Russell Award for Outstanding Professional Contribution from the Arkansas Chapter of IAAO. 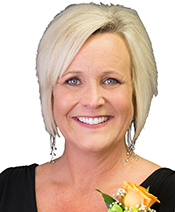 Tracy Drake, CAE, RES, AAS is a member of the IAAO Board of Directors, representing Region 3. Outside of IAAO he is Assistant Property Appraiser for Clay County, Florida. He has been an IAAO member since 1998, has served as a Chair of the Education Committee and also the Professional Designations Subcommittee; was the 2018 Vern W. Pottorff Professional Designee of the Year and the 2016 IAAO Member of the Year; and has served on the Professional Designation Subcommittee and the Councils and Sections Committee. He has been a member of the Florida Chapter of IAAO since 1997, serving as Chair of the Professional Designations Committee and on the Executive Board from 2013-18 and as President in 2017. He has achieved the IAAO Certified Assessment Evaluator, Residential Evaluation Specialist, and Assessment Administration Specialist designations and the Accredited Senior Appraiser designation from the American Society of Appraisers. He is also a Florida State-Certified General Real Estate Appraiser and a Certified Florida Evaluator. He received a Bachelor of Science in Interdisciplinary Studies from the University of Central Florida. David Harper, AAS is a member of the IAAO Board of Directors, representing Region 1. Outside of IAAO he is state director for both the Kansas Division of Property Valuation and the Kansas Division of Vehicles, Topeka, Kansas. Prior to his current position he served as Manager, Public Utility Division of the Kansas Division of Property Valuation. He also served in the Shawnee County (KS) Appraiser's Office and as a Kansas Certified Residential Appraiser. He has been an IAAO member since 2008 and has served as a member and past Chair of the IAAO USPAP committee, and is a member of the Kansas City Chapter of IAAO. He achieved the IAAO Assessment Administration Specialist designation and also is a Kansas Registered Mass Appraiser. He received a bachelor's degree in Business Administration from Baker University. Ryan A. Hatch is a member of the IAAO Board of Directors, representing Region 1. Outside of IAAO he is Appraisal Manager for the Washington County Assessor's Office in St. George, Utah. He has been a member of IAAO since 2002 and served as an IAAO Representative, and on the IAAO Chapter and Affiliates and Scholarship committees. He received the IAAO Chapter/Affiliate of the Year Award and the IAAO Stacy Ford Award. He has served as a Board member and President of the Utah Chapter of IAAO and received the Most Valuable Member from the chapter. Bryan Kinsey, AAS is a member of the IAAO Board of Directors, representing Region 3. Outside of IAAO he is Assistant Director - Division of Property Assessments for the State of Tennessee / Comptroller of the Treasury and has been with the state for more than 26 years. He has been a member of IAAO since 1994 and served as Chair and as a member of the IAAO Chapters & Affiliates Committee; an IAAO Representative for Tennessee; and a Professional Designation Advisor for AAS. He has also served as President, Vice President and Secretary/Treasurer for the Tennessee Chapter of IAAO. He received a Bachelor of Science in Business Administration and Master of Business Administration from the University of Tennessee. He has achieved the IAAO Assessment Administration Specialist (AAS) designation and the Tennessee Certified Assessor (TCA) and Tennessee Master Assessor (TMA). 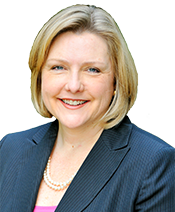 Rebecca L. Malmquist, CAE is a member of the IAAO Board of Directors, representing Region 2. Outside of IAAO she is Director of Assessments for the City of Minneapolis, Minnesota. Previously she had served as City Assessor and Appraiser for the City of Minnetonka. Ms. Malmquist has been an IAAO Member since 2000 and has served as Chair of the Membership Committee and Communications Committee, and as member of the Communications Committee. In 2018 she received the IAAO Matylda Zurowska Hudak Member of the Year Award. She also has served as an IAAO State Representative and has received IAAO's Zangerle Award as Managing Editor of MAAO's Equal Eyes publication. She has achieved the IAAO's Certified Assessment Evaluator designation and the Minnesota Senior Accredited Minnesota Assessor (SAMA) Designation. She received a Bachelor of Arts in Urban and Regional Studies from the University of Minnesota - Duluth. She also has served on the Minnesota Association of Assessing Officers as Editorial Board Committee Chair; Equal Eyes, Managing Editor; Region IX Vice President and President; and Membership Coordinator. Scott K. Teruya, AAS is a member of the IAAO Board of Directors, representing Region 1. Outside of IAAO he was recently been appointed by County Mayor Mike Victorino to serve as County of Maui's Director of Finance as of January 1, 2019. Since 1997, he has worked for the Department of Finance, Real Property Tax Division, and served as its County Administrator since 2007. He also has seven years of private fee appraisal experience and is a Certified Residential Appraiser for the State of Hawaii and also has a Real Estate Salesperson license. He has been an IAAO member since 2001 and was the IAAO Member of the Year in 2014. He received an Assessment Administration Specialist. He has served on the IAAO Chapter and Affiliates Committee, the GIS/CAMA Technologies Conference Committee, and has served as President of the Hawaii Chapter of IAAO. He received a Bachelor of Business Administration in Real Estate from the University of Hawaii. Donna VanderVries, CAE, AAS, PPS, Esq. is a member of the IAAO Board of Directors, representing Region 2. Outside of IAAO she is Equalization Director for Muskegon County, Michigan. She has been an IAAO member since 2001 and has served on the Planning and Rules Committee and Profession Development Committee and the Professional Designations Subcommittee, and as an IAAO Representative. She has served on the Appraisal Foundation App Practices Board; the Mid-Michigan Association of Assessing Officers Board, and as Past President; the Michigan Assess Association Board and the Michigan Association Equalization Directors Board, most recently as President. She received an accounting degree from Wright State University, a law degree from Ohio State University; and a Masters degree in Tax from the University of Cincinnati. She has achieved the following IAAO designations: Assessment Administration Specialist, Certified Assessment Administration Specialist, and Personal Property Specialist. She also has received the Accredited Senior Appraiser from the American Society of Appraisers and is a Certified General Appraiser and a Michigan Master Assessing Officer as well as a CPA. She has served as Equalization Director for 11 years and also has served as an adjunct professor for 18 years. Virginia R. "Ginny" Whipple, AAS is a member of the IAAO Board of Directors, representing Region 2. Outside of IAAO she is the Bartholomew County Assessor serving Bartholomew County and Columbus, Indiana. She has been a member of IAAO since 1994 and received the IAAO Member of the Year Award in 2011. She has served on the Technical Assistance Committee with one year as the Technical Assistance coordinator. In addition, she has served on the Instructor Relations Subcommittee and Communications (now known as Membership) Committee and was co-chair of the Local Host Committee for the 2015 Annual Conference in Indianapolis. She also is an IAAO Senior Specialty Instructor as well as an IAAO Representative. Ginny has been a member of the Indiana Chapter of IAAO since 1995 and has served as President, Secretary and Treasurer. She is currently Course Coordinator scheduling 15 IAAO courses a year. She was also part of a small force of people who were responsible for state legislature requiring five IAAO courses for assessor certification. She began her assessing career in the Decatur County, IN office, then joined a mass appraisal firm, eventually becoming Production Control Manager before her retirement in 2006. She then worked in several Indiana Counties until her election to County Assessor. William A. Birkle, AAS is a member of the IAAO Board of Directors, representing Associate members. Outside of IAAO he is an Appraisal Project Supervisor for Tyler Technologies Indianapolis, Indiana. 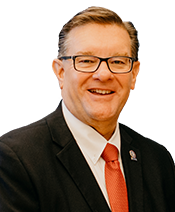 Prior to his current position, Mr. Birkle has served as the elected Assessor, Chief Deputy Assessor and Deputy Assessor for Warren Township in Marion County, Indiana. He is a Certified Level III Indiana Assessor-Appraiser and has served as President, Vice President, and Area-Vice President of the Indiana Chapter of IAAO (ICIAAO). 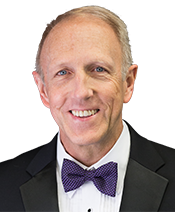 He has served as a member of the IAAO Communications Committee and Member Services Committee, Chair of the Scholarship Committee, and Co-Chair of the Local Host Committee. He has also been an IAAO Representative, a Professional Designee Advisor, and received the Verne W. Pottorff, CAE - Professional Designee of the Year award.